Are you struggling with your Online Access account? On Saturday 30th March, we will be running an Online Access Walk In morning designed to help you with any Online Access problems you might be having, from not being able to sign up, to being unsure of how to order your repeat prescriptions on the site. If you're interested in getting some extra help with your Online Access account, speak to your doctor's secretary to book yourself in, or pop in on the day, any time between 08:00am and 12:00pm. Not sure what Online Access is? Online Access allows patients to order their repeat medications, book appointments, view their medical record and send direct messages to their doctor's secretary all online! If you think this is something you'd be interested in signing up for, pop in to surgery on Saturday 30th March, 08:00-12:00 to get joined up. As of 1st April 2019, Dr Dhesi and Dr Davey's clinical and secretarial hours will be changing due to a change in working arrangements. Dr Dhesi will work: Monday, Tuesday morning, Wednesday and Thursday. Dr Davey will work: Monday, Tuesday, Thursday and Friday. Both doctors will retain their own secretaries, but the opening hours for them will also change in line with the new clinical hours. Debbie will be available for Dr Dhesi's patients Monday, Tuesday morning, Wednesday and Thursday, and Chris will be available for them on Friday mornings. For Dr Davey's patients, Chris will be available Monday and Tuesday, Michelle will be available Thursday and Friday and Wednesday mornings will be covered by Carole. Patients will still be able to send secure messages to their doctor's secretary 24/7 on Online Access, as well as book appointments and order repeat medications. In line with all other local practices, and due to increasing demand on our nursing services, we are no longer able to offer ear syringing at The Allan Practice. We have continued to offer ear syringing at the surgery for as long as possible, despite receiving no funding for the procedure. The Partners have come to this difficult decision in order to prioritise essential services and those services for which we are contracted to provide by NHS England. Ear syringing takes up a large amount of clinical time, meaning patients can struggle to get nurse's appointments in a timely manner. Because of this and the fact that it is not part of our GMS contract, the decision has been made to cease performing ear syringes at The Allan Practice. We wish to apologise for any inconvenience caused, but we are sure our patients will understand the need to prioritise both essential services and those that we are contracted to provide. There are a range of options for ear syringing for the local area. Please see our Ear Wax Guide for more information. Disclaimer: The Allan Practice cannot recommend any private providers and takes no responsibility for services given by other private providers. 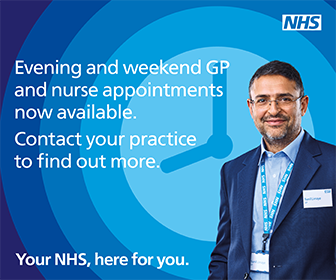 Patients registered with any GP Surgery within Southern will be able to access this service via the participating surgeries in their area. In Southern these surgeries are: Burnham Health Centre, The Ivers Practice, The Misbourne Practice, Denham Medical Centre, The Hall Practice, The Allan Practice, Southmead Surgery, Threeways Surgery, FedBucks Improved Access Hubs located at Wycombe Hospital, Stoke Mandeville Hospital and Threeways Surgery, Stoke Poges (Sundays and Bank Holiday weekends only). Have a read about ten things you may not know about your GP. This update is for the benefit of all our registered patients but particularly for those who have been registered with Dr. Ranj over the last year or so. As you may be aware, Dr. Ranj is currently on a 3-month sabbatical during which time he has been undertaking charitable work in Greece. The intention had been for Dr. Ranj to resume his normal duties with us from September 2018, but I am sorry to report that he has now decided he will no longer be returning to Calcot. He will instead be carrying out further charitable work whilst he further explores all his career options, and we wish him all the best with this. I know this news will be hugely disappointing for many of you, but I am delighted to report that Dr. Jonathan Davey (who has been covering for Dr. Ranj over that last couple of months) has agreed to extend his time with us until a permanent replacement for Dr. Ranj can be found. Dr. Davey is a hugely experienced local GP who many of you will already have met. He will continue to cover exactly the same sessions as Dr. Ranj previously and I am confident that he will provide full continuity of medical care. There will be no change to existing contact arrangements though his medical secretaries, Michelle and Chris. Looking forwards, we are keen that the right person is found as a permanent replacement for Dr. Ranj, even if this means that the appointment is not immediate. I am sure you will appreciate why this would be for the best. Unfortunately, GP recruitment as a whole is extremely difficult at present with many practices already having more than one vacancy. Some practices have been exploring alternative ways of working, with paramedics, pharmacists and nurse practitioners undertaking clinical work to lighten the load. This is not a direction that The Allan Practice intend to follow. I believe that we are a high calibre and stable medical practice and I am confident that the right replacement GP will be found in due course. All I ask is that you bear with us during this process. I will write to you with further updates as I have more to report. We are pleased to announce that a new Registrar GP has joined The Allan Practice as of the 1st August 2018. Dr Amar Basra will be with us for six months, working alongside our other registrar, Dr Riz Shaffiq. Dr Jay Angrish has moved on to her next placement and we wish her all the best in her career. Appointments with our current Registrars are available to book via Patient Access. From 1st August 2018, Buckinghamshire CCG are changing the way patients can order their repeat prescriptions. From this date, patients will be asked to order their repeat medications and equipment from the GP practice directly, rather than from their pharmacy, or medical equipment supplier. Please note that this affects the ordering part of the process only, patients can continue to have their medications sent directly to their pharmacies where these arrangements exist. Prescriptions must be requested in writing. Secretaries are not allowed to take prescription requests over the phone. The most efficient way to order repeat medications with The Allan Practice is to sign up for online services. This can be done in surgery or online. Alternatively, prescriptions can be ordered in surgery or via email. For more information, please read the letter provided by the CCG below, or visit their website. One of the biggest changes in UK data law comes into effect on 25 May 2018. The General Data Protection Regulation (GDPR) means that you will have more control over how your data is used and it ensures that organisations store that personal data better. To reflect these changes and new obligations we have updated our privacy notice which also tells you what we do with your personal data, how it is used and your rights under the new law. Please read our new Privacy Notice or visit the GDPR page of our website for further details. The mailbox will be checked periodically throughout the working day (Monday to Friday 08:30-17:00) and emails will be forwarded to the relevant doctors’ secretary. If the matter is of an urgent nature or you wish to request a home visit you must contact the doctors’ secretary by telephone. For training purposes the practice closes one afternoon a month to allow staff to have Protected Learning Time. On these dates the practice will close from 13:00 and open again as usual the following morning. If you need a doctor urgently during this time for a issue that cannot wait until the surgery is open again please call: 01296 850 011. For any medical emergencies please call: 999. Please see below for our closure dates for the next year.